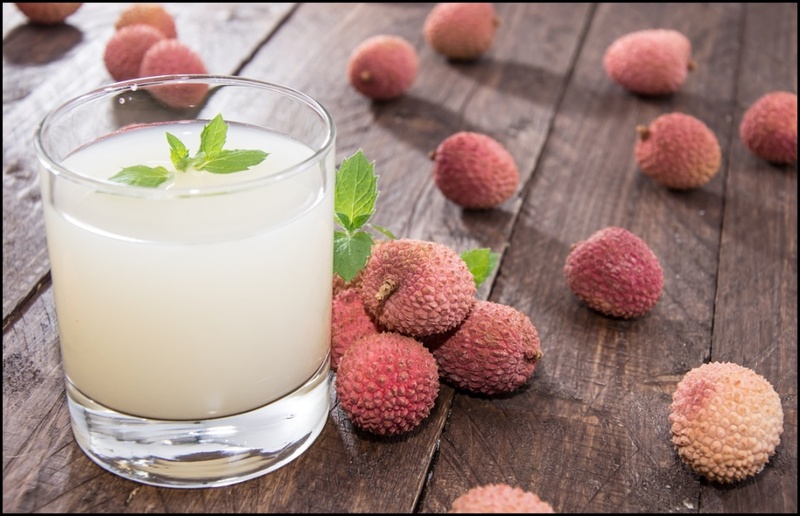 A fruit and is fragrant and sweet, lychees are enjoyable when eaten fresh or made a juice to sip on. Apart from raw consumption, the fruit that is also used in many ice creams and dessert recipes also has many health benefits. It contains quercetin and kaempferol, flavonoids which have anti-inflammatory, heart health promoting and cancer fight abilities. Rich in antioxidants, lychees strengthen the cells which improves your defense mechanism, eliminating free radicals and oxidative stress. It also reduces risk of heart diseases, cancer and neuro-degenerative diseases like Parkinson’s and Alzheimer’s. These antioxidants are highly beneficial for the skin too as they slowdown aging process as it is a rich source of Vitamin C.
The nutrients like iron, manganese, folate etc. improve blood quality and circulation. The high content on Vitamin has numerous benefits. I aids in wound healing, improving bone and brain health, fighting viral infections, improving vision and boosting immunity. The dietary fibre present in the fruit adds bulk to stool, improves your digestive health and is beneficial for your heart too. Low in sodium and its high potassium content are useful in controlling blood pressure and reduce hypertension. Include a bowl of fresh lychees or a glass of lychee juice as a healthy and delicious breakfast add.